You must read FAQ Frequently Asked Questions for MBBS in Bangladesh before enrolling MBBS Program in Bangladesh. As well as you must research in Google, Wikipedia, MCI, NTA, CBSE, Facebook, Quora, Yahoo and other reliable online Web sources. Is NEET required to Study Medical is Bangladesh? What is the eligibility to Study MBBS in Bangladesh session 2019 ? Ans: Class 12th Pass year schould be 2019 or 2018 only. With 60% or more in Biology. Class 10th and 12th minimum GPA 7, To study in Bangladesh you have to meet the MCI eligibility which is 60% in Physics, Chemistry and Biology average and pass in English in Class 12 and minimum 17 years of age in December 31 of the year of Admission. In ADDITION the University in Bangladesh may have a HIGHER cut off than specified by MCI. So read the requirement of the University in addition to the MCI requirement. What is the MCI Screening Test? How many times can I give Screening Test? ​Will my Degree be recognized in India and overseas? How to pay Fees ? What is the Mode of Payment and in what currency? Ans: Fees for the Medical College has to payable in US$ thru Forex TT. Ask your local Forex enable bank. Must have passport and college letters to pay college fees. All transaction thru parents/guardian bank to college account. You can take money to Bangladesh in the form of US $. You can legally carry 3000 $ in cash and 20000 $ in travelers cheques. Take a receipt for the Cash you are carrying for the customs authorities. You can transfer some fees to the University by way of Bank or SWIFT transfer. Read the relevant advice. What is the Total Expense including hostel and food? Ans: For Hostel structure – refer to the fee structure of each institute. Q: What is the course duration in Bangladesh? A: Duration is 5 years. and one year is internship. Ans: No prior Bengali knowledge needed. Yes. Don’t worry about it. Medical Education will taught in English Language and local citizens are expert in Hindi also. Ans: Smile Education Consultancy also arrange parents VISA with no extra charges during admission time. Q: How to get a Loan for Education in Bangladesh? 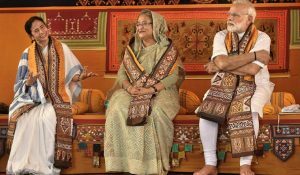 Q: Relation between India and Bangladesh? Ans: Every year more than 1250 enroll in 1st year MBBS Degree program in Bangladesh. Exact data can be obtain from Bangladesh embassy. There are over 7000 Indians studying MBBS in Bangladesh. Each year about 1250 Indian students go to Bangladesh for MBBS and number is increasing every year. Ans: No we are not agent like others. Smile Education officially direct representing top medical colleges in Bangladesh. We are only promoting medical education in Bangladesh since 2011. We dont do other countries any type of admission. Some information we collect from various websites even we mention source website link also. Our Aim only to provide authenticate information.